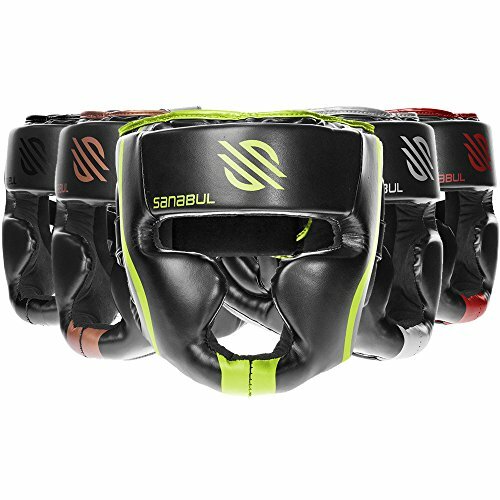 Sanabul Essential Head Gear provides excellent coverage and protection of the face and head while training or sparring . 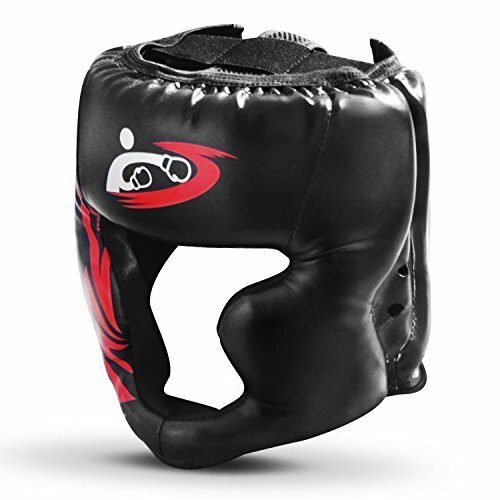 Whether you are training boxing, kickboxing, mixed martial arts, karate or tae kwon do, this head gear is perfect for you. New improved soft shelled helmet design with velcro strap for easy use. Added vent holes for breath-ability and enhanced stitching for durability. Youth and Adult Sizes: We provide sizes for the smallest ballers on the gridiron to the biggest playmakers (High School/College). You don't have to buy "name brand" to get a quality product. We stand by our products with a money back guarantee. We believe in providing a great product at an affordable price. IRB CERTIFIED: Certified by International Rugby Board thru stringent testing to meet World Rugby Standards. Our EliteTek headgear is one of the only helmets on the market to be featured on the World Rugby Approved Equipment List. QUICK FITTING: Fast and Secure Velcro fitting system = STRAP UP & GO! No more clumsy strings to tie, EliteTek's new design is the fastest fitting and most secure on the market. TEAM LOGO READY: Side panels were designed to allow 3 x 3 custom team LOGO printing. This soft shelled helmet is ready to take to your local printer for logo heat press. 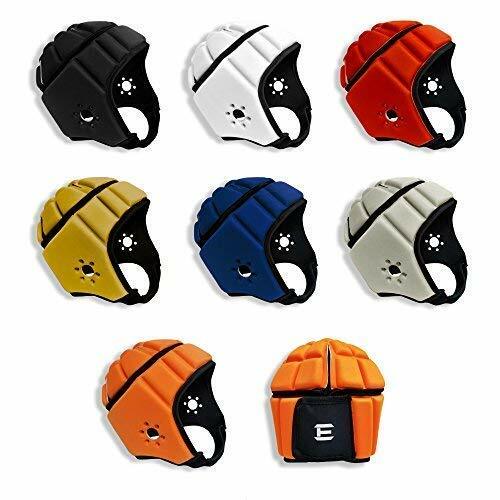 MULTIPLE USES: Rugby scrum cap, 7 on 7, Flag Football, Passing Leagues, Soccer Goalie Helmet, and Head Fall Protection for Epilepsy. Protects against cuts and abrasions. Everlast warrants its products to be free from defects in materials and workmanship for a period of 120 days from date of purchase, provided they have not been subjected to obvious abuse, neglect or misuse. Everlast's sole liability is limited to repairing or replacing products that are returned within this 120-day period, unless specific product literature specifies otherwise. 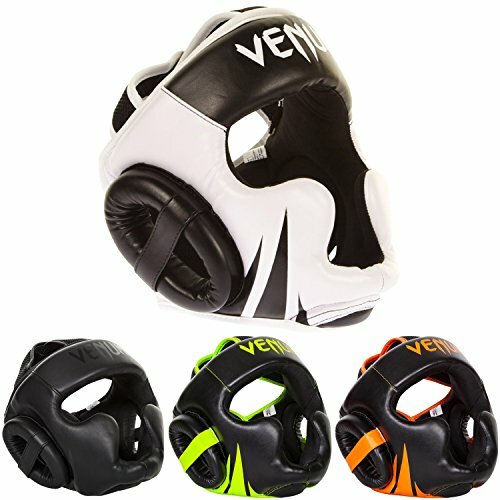 Brand: Everlast | Manufacturer: Everlast Worldwide, Inc.
Head into bigger and better challenges with our Venum Challenger 2.0 Headgear . Keep your head in the game and stay protected. Not approved for competition by USA Boxing. 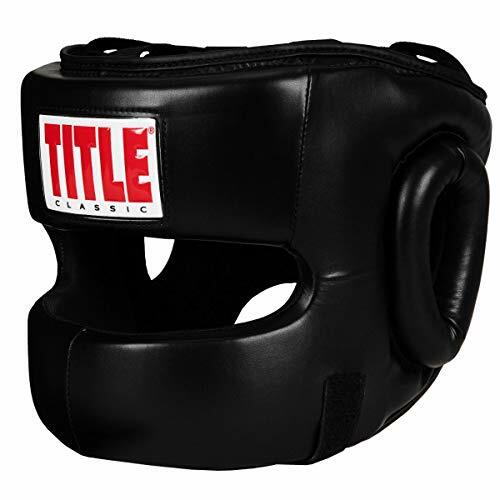 The Ringside headgear is complete with a sleek contoured design and curved cheek protections to better protect the head and face. 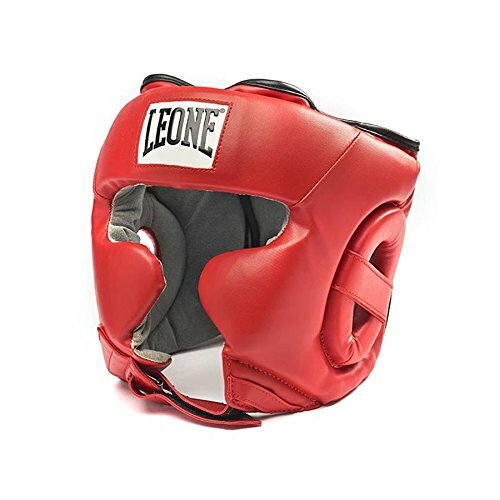 Made of durable leather construction to ensure lasting dexterity and performance with top quality laminated foam system that disperses impact so you can focus safely on sparring and fighting. 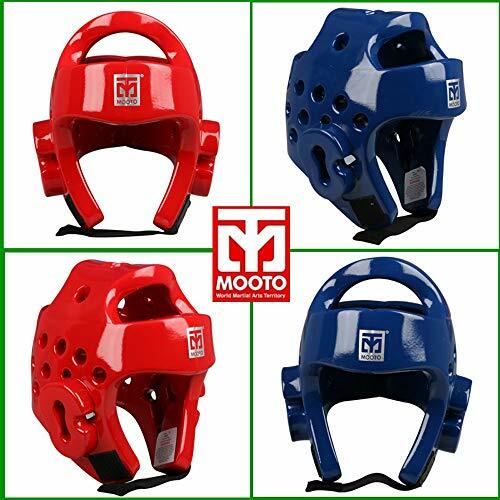 Top rated head gear for boxing, MMA, Muay Thai and partner contact sport athletes alike to practice to complete your home or commercial gym. High Quality Durable Pu Leather is lightweight, soft and comfortable, also water and sweat resistant, is easier to clean and maintain. Shock Absorption and Excellent Visibility : Double density cheek & head protection foam gives you ultimate shock absorption. Cheek protectors provide optimal safety and enhance your visibility as well. 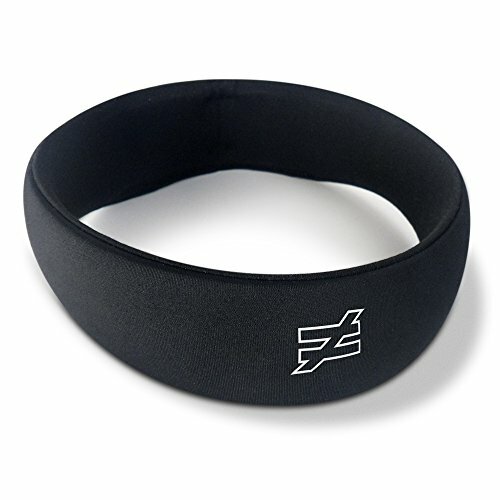 The X-Band design of the Premier has a low profile and a high level of protection and comfort. The adjustable lightweight cross-strap construction in addition to the interchangeable occipital padding makes the Premier the most unique and advanced headgear in the game. The inner lining of the Premier is constructed with moisture management fabric to accelerate moisture evaporation, allowing the player to keep his head in the game. It is based upon feedback from professional players and use under real game conditions, and therefore, is ideal for those athletes who play full out at the highest levels of the game. ADVANCED HEAD PROTECTION: The F90 Premier Performance Headgear represents the latest advancements in performance protection technology and Tru-Play design. INTERCHANGEABLE PADDING: The Premier features an advanced tru-fit system, which is comprised of the new x-band design and new interchangeable occipital back padding. This gives players the amount of protection that's right for their style of play. LIGHTWEIGHT/LOW PROFILE: Advanced Truefit System that provides expanded coverage of the occipital lobe while maintaining a low profile, custom and comfortable fit. COOL MAX FABRIC: The Premier is constructed with Forcebloc foam and an inner lining of Cool Max fabric to accelerate moisture evaporation, allowing the player to keep their head in the game. 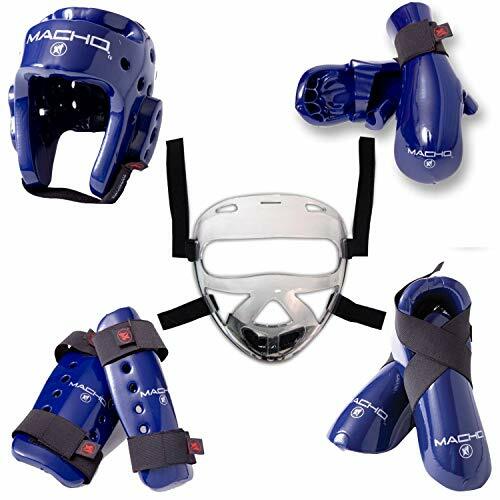 Macho's most popular sparring gear! Made of high quality 3/4 inch foam. Sizes child s, m, l, adult S, M, L or XL. Shin Guards and face shield Included. 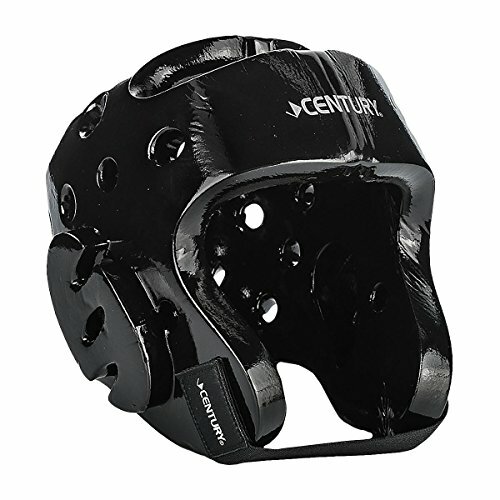 Century Student Gear is designed tough for martial artists in training. Designed for maximum visibility, the 7/8" dipped foam headgear has a contoured open face design secured with a hook/loop elastic strap. Features pressure release outlets for ears. Crafted with dipped foam. Contoured design with open face and ear outlets. Secure Velcro closure. Made in China. Model Number: 11423-010212. 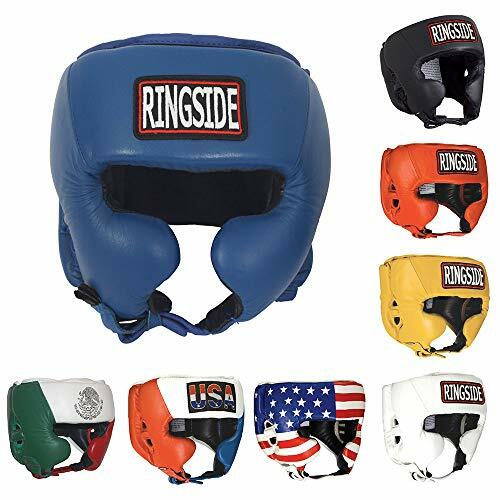 Save big with the all new, advanced and USA Boxing approved headgear for all amateur boxing competition. Crafted for intense action and long-lasting wear with superb results. USA Boxing approved 4-layer foam laminated padding has high and low density layers for increased shock absorption and impact resistance. Sleek cheek protectors offer added coverage with excellent visibility. Integrated side ear air channels offer extra protection and coverage, without bulky add-ons. Fully adjustable lacing system on top and back for a custom, no-slip, form fit for every athlete. Adjustable chin strap offers added security and form fit for a secure, unrestrained fit. Innovative softer, comfortable and quality cloth inside liner is moisture-wicking to help keep athletes cooler and drier during action. Fits your head like a glove. Complete with USA Boxing seal of approval. 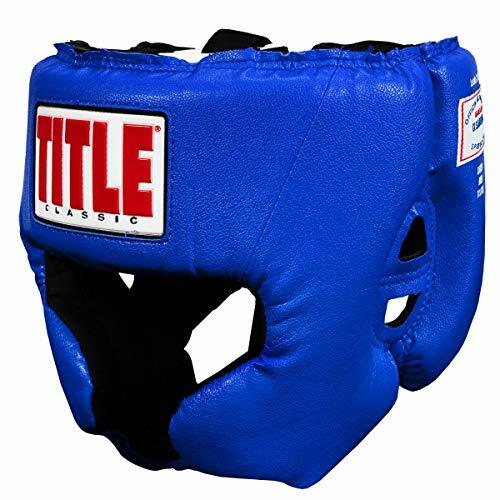 Save big with the all new, advanced and USA Boxing approved headgear for all amateur boxing competition. Crafted for intense action and long-lasting wear with superb results. USA Boxing approved 4-layer foam laminated padding has high and low density layers for increased shock absorption and impact resistance. Open face design is preferred by many competitors for extended freedom. Integrated side ear air channels offer extra protection and coverage, without bulky add-ons. Fully adjustable lacing system on top and back for a custom, no-slip, form fit for every athlete. Adjustable chin strap offers added security and form fit for a secure, unrestrained fit. Innovative softer, comfortable and quality cloth inside liner is moisture-wicking to help keep athletes cooler and drier during action. Fits your head like a glove. Complete with USA Boxing seal of approval. USA Boxing and Golden Gloves Approved! 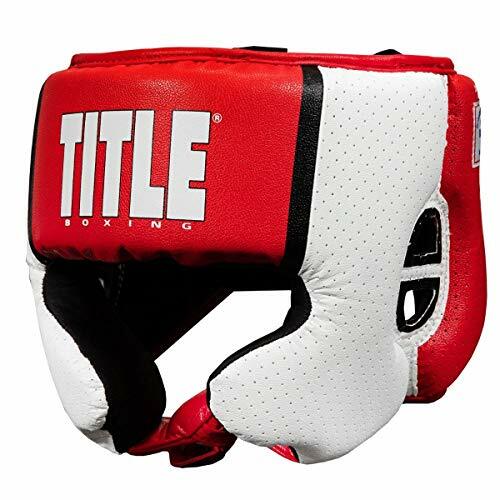 All new and advanced USA Boxing approved competition headgear with genuine full-grain leather exterior delivers championship results and extra-long life. Exclusive integrated Aerovent inset panels on sides and back with finite hot air release channels during intense competition offers a cooler, drier performance. Innovative non-slip inside lining is extra comfortable and moisture-wicking for superior results. Fully adjustable leather chin strap with buckle, lace-tie top and twin elastic with extra-wide double hook-and-loop rear security straps offers a custom form fit for every athlete. 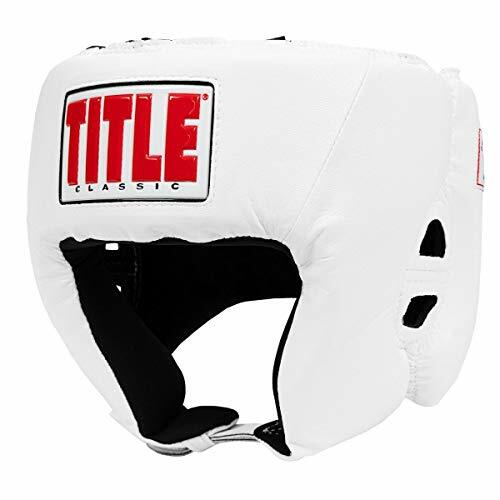 USA Boxing approved 4-layer sandwich foam delivers exceptional shock suppression and maximum coverage. Sleek cheek protectors offer increased coverage without sacrificing sight lines or visibility. An exceptionally elite and shrewd competition headgear that exceeds the highest demands. We highly recommend this headgear for all competitors who want to look, perform and dominate in style, performance and achievement. Professional leather headgear already approved FPI (Italian Boxing Federation)! Hight quality and excellent performance!